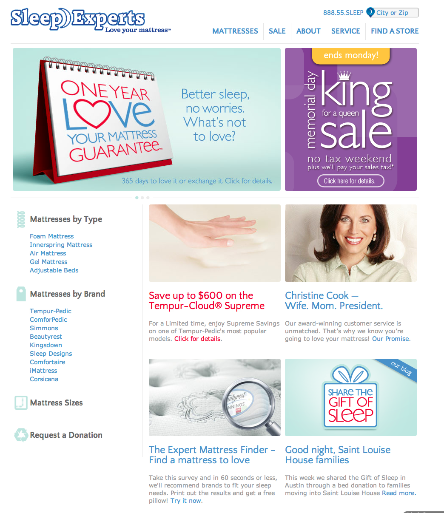 Sleep Experts.com has a new look! MY2 took on the job of managing the redesign of the Sleep Experts web site. We enjoyed working with the talented designers at Brand Hatchery to come up with a easy-to-navigate site with a softer look that appeals to Sleep Experts' target audience which is mostly women. And the Share the Gift of Sleep blog that MY2 manages now has a spot on the home page!